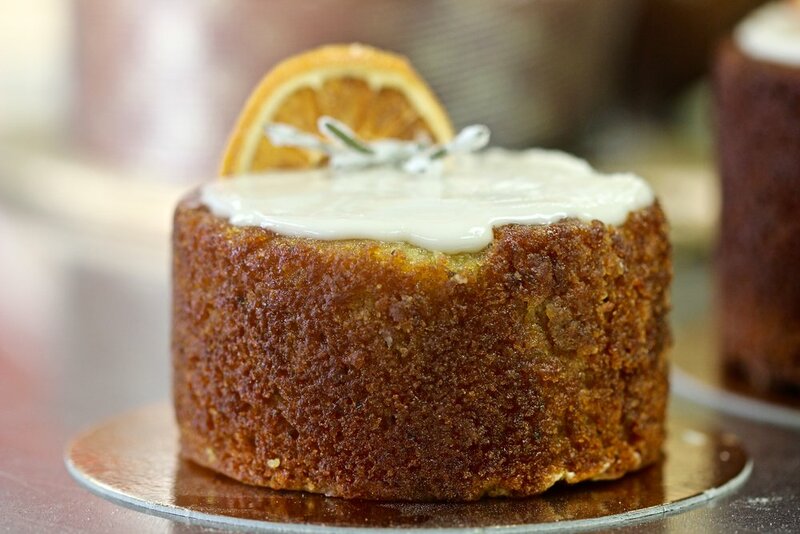 To highlight the quality ingredients used in our cakes and butter creams we keep things simple. We believe in clean, bright flavors so we use the finest ingredients; dark cocoa, bourbon vanilla beans, toasted ground hazelnut. 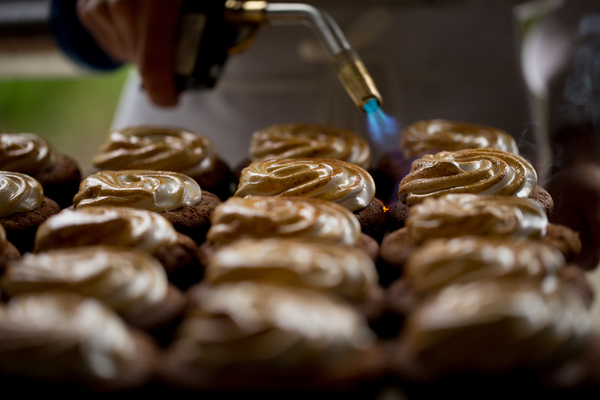 We let the ingredients speak for themselves and don't disguise them with excessive decorations or embellishments. Our cakes come in two sizes, a 4 inch small and a 6 inch large. Flavors change with the seasons, though we always have our chocolate cake available as it's become a local favorite. Almond Raspberry Polenta Cake A tender cake made with almond meal and polenta and layered with a bright raspberry buttercream. Topped with an almond glaze, this cake make the perfect gluten-free dessert! Carrot Walnut Cake Janis and Jerry’s wedding cake recipe! A layered cake comprised of carrots, roasted walnuts, shredded coconut, pineapple chunks, walnut oil, and spices. Complete with a citrus cream cheese frosting and topped with candied walnuts. Chocolate Cake Rich, bittersweet chocolate cake layered with buttery chocolate frosting. Chocolate Cupcakes Chocolate cake topped with a dark chocolate frosting. Counter Cake We sell these cakes by-the-slice or whole, if you feel like one slice won't be enough! Some of our favorite flavors include brown butter hazelnut, earl grey, and fresh fruit with whipped cream. Baker's Choice Every month we feature a new cupcake flavor for our customers to enjoy. the flavors are largely seasonal and try to utilize as many local and in-season ingredients as possible. Past favorites include blueberry maple, strawberry shortcake, and a beet red velvet with a pistachio filling.